Would you like to win a Cardo Packtalk Bold Duo System? Of course you would! 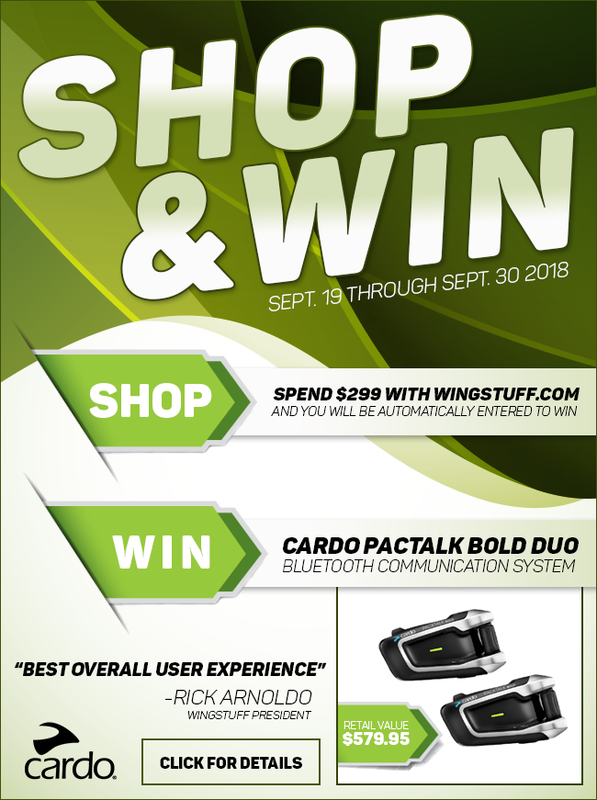 Spend $299 or more with WingStuff.com between September 19 and September 30, 2018 and you will be automatically entered to win. That’s right, it’s that easy. Click the image below to learn more and start shopping.